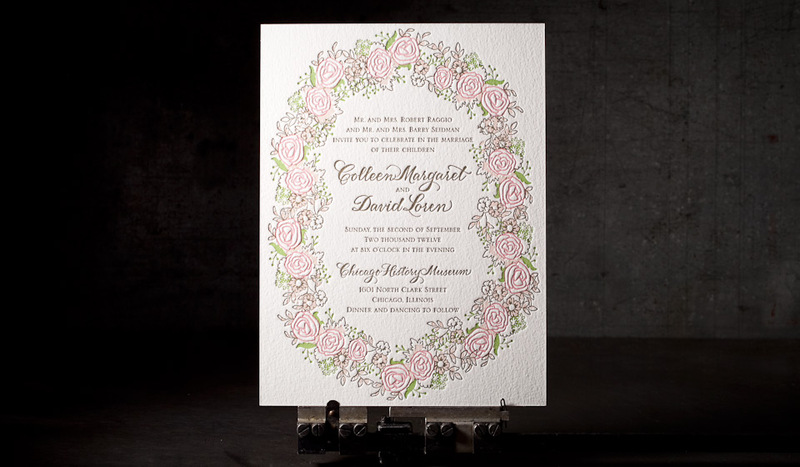 vintage wedding invitation in 4 colors. 4 letterpress inks: clover 578U, british rose 700U, shell 489U, olive 4485U. 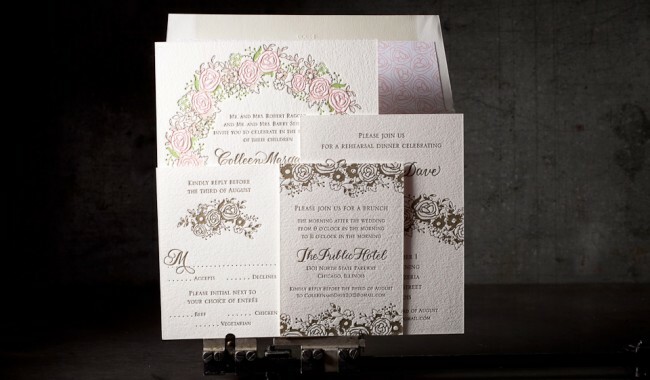 invite (6.25” x 8.38”), reply card, reply card envelope, rehearsal dinner card, brunch card, and lined outer envelope. 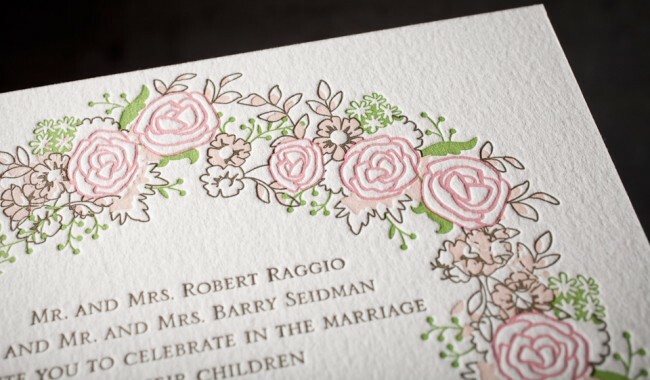 the invitation features hand calligraphy from Debi Zeinert.